Kanata Racers is a program for motivated athletes who wish to build ski technique and participate in competition in a fun and supportive team environment. The program provides an opportunity to refine both classic and skate ski skills, for youth with varying levels of experience. Skills​: Our goal is to enable young athletes to develop their cross-country skiing skills in a positive team environment. The focus is on ski racing, athletes are given tools to grow as athletes and individuals. Fun:​ ​To grow in the sport an athlete needs to have fun and enjoy training, appreciate being outside and, above all, love skiing. The program includes a wide variety of activities throughout the year to keep the interest level high. Individual​ ​Development​: Coaching at Kanata is a team approach. All athletes will be coached by different individuals throughout the year. This approach exposes the athlete to varied coaching styles and to different specialized skills. The coaches believe in the equal treatment of all athletes and yet will respond to the time and effort contributed by the athlete. The coaches work towards helping the athlete achieve their own potential and their own goals at whatever level they may be. Participation​: We encourage year-round activity, a healthy lifestyle and a variety of outdoor activities. Year round training is necessary to be successful as an athlete and particularly as a skier. We do expect skiers to be prepared to attend at minimum 2/3 of all scheduled practices during the whole season. Team​: Each athlete is encouraged, with coach support, to set their own individual goals and the coaches aspire to deliver a program to guide the athletes achieve their personal best. By participating in the Racing Program each athlete supports the goals of the team and assists their peers to do the same. Mike has worked with nordic athletes and trained coaches at all levels of development for the past 16 years. Mike was a coach for a national team development centre and coached athletes to multiple National Championships, World Jr., and U23 World Championships. Mike also lead a ski club to three straight national club championships. Mike is a Master Coach Developer and has trained almost one hundred coaches at various stages of the LTAD. In addition to his role as head coach and program planner with Kanata Nordic, Mike works with the Canadian Paralympic Committee helping develop their high performance plans around the World Championships and Paralympics. Skill Requirements: Participants need to have intermediate classic and skate skiing abilities. It is highly recommended that athletes have progressed through the Racing Rabbit program or its general Learn-to-Train equivalent. Athletes should be comfortable on roller skis. Equipment Requirements:Skate roller skis*and boots, poles with roller ski ferrules (tips); separate skate and classic skis; rock skis; hill-bounding poles, digital watch, water bottle with holder or hydration pack, headlamp, and basic waxing equipment. Athletes must also have a racing licence for competing in Ontario Cup (O-Cup) races, and the Canadian Nationals. Details on race licences can be found hereand purchased here. Anyone aged 13 or above requires a Gatineau Park pass – details can be found hereand a club discount will be arranged. Club clothing will be offered for personal purchase. Coaching:All athletes will be coached by a mix of volunteer and professional staff. Juvenile athletes will be coached primarily by our head coach Mike Vieira with support from volunteer coaches. Skill Requirements: Athletes should to have at least basic cross country ski skills, general sport skills, and some endurance background. Athletes will be placed in skill-appropriate groups that will be fluid throughout the season based on development. Equipment Requirements:Ski boots with a supportive cuff for rollerskiing*(skate ideally, or modern combi), poles with rollerski ferrules (tips); separate skate and classic skis; rock skis, hill-bounding poles, water bottle with holder or hydration pack, headlamp, basic waxing equipment. Kanata Nordic maintains a small library of roller skis, suitable with NNN skate boots. For the first year of roller skiing (2006 athletes or older athletes who are trying it for the first time), athletes may borrow from the fleet at training. Beyond that, athletes are expected to purchase roller skis. *Club clothing will be offered for personal purchase. Coaching:All athletes will be coached by a mix of volunteer and professional staff. Peewee and Midget athletes will be coached primarily by our certified volunteer coaches, with training plans and support from our head coach Mike Vieira. *Roller skis can be purchased at either Fresh Air Experience or Kunstadt Sports. Both offer a discount to Kanata Nordic members (amount to be confirmed through the head coach or racing coordinator). All 2006 and older athletes are expected to have a pair of roller ski ferrules (tips) on their poles, also available at Fresh Air Experience or Kunstadt Sports. Parental Contribution to the Kanata Nordic Racing Program:Cross country racing is volunteer-driven. All non-coaching parents are expected to contribute significantly to the organization of the team: safety “sweeping”, race organization and travel to races, social events, scheduling/administration, and communications, the wax-team and equipment management. We provide guidance on the tasks and no experience is necessary – you don’t even need to be a skier! 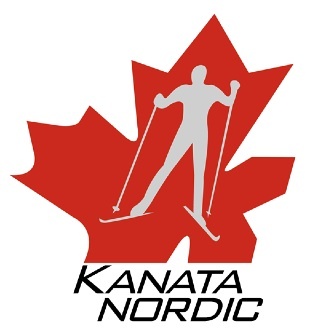 We will also routinely request Kanata Nordic volunteers for regional events such as Nationals. Athlete Volunteer Contribution to the Club:Athletes are required to contribute to the wellbeing and maintenance of the club. Duties include: participating in club events such as ski swap, trail clearing and facility clean-up days, participating in the Kanata Pretzel sprints, participating in fundraising activities, helping out with food prep and clean-up when travelling to races, acting as responsible club-representatives on and off trails. We also encourage all our Juvenile (2004 and older) athletes to assist when possible with the Bunny and Jackrabbit programs at Kanata Nordic. Fall Training: The fall program will include a mix of team-building, endurance, strength and technique training. Roller ski skills for midget-aged skiers (2006) and older will be included 1-2 times per week, weather permitting. Fundamental movement skills will be emphasized for all athletes with a mix of general sport skill training, as well as physical conditioning at all practices. Locations:Tuesday and Thursday sessions will take place in parks/community trail areas in the greater Kanata area. Saturday practices will occur in Gatineau Park or other surrounding green spaces. Saturdays Early on Snow Training:Kanata Nordic will be taking advantage of the early on-snow training venue available at Nakkertok this season. Location:Nakkertok South provides man-made snow starting in November. With the variable nature of winters in Ottawa we will take advantage to get on snow when we can. We will ski on the early loop for 3-6 weeks until natural snow is available. Fees:Cost is approximately $8 per skier per session to use the Nakkertok snow loop. Schedule:Practice times will vary (may be 11:30 am or 1:00 pm on Saturdays when we train at Nakkertok due to training time availability (all local clubs train on this loop leading to sparse availability ). Rock skis will be needed and parent carpools can be arranged. Snow Season:Practices will continue following our Tues-Thurs-Saturday training times when snow becomes available. Sessions will be divided between classic and skate ski technique, often dictated by trail conditions. Participants will be advised which technique/equipment will be needed 24-48 hours prior to each session. Wax advice will also be provided for classic sessions. Locations: Most weekday on-snow sessions will take place at the Kanata Nordic club, located at Wesley Clover Parks on Corkstown Road. Saturday sessions will frequently take place in Gatineau Park. On some race weekends OYO (on your own) training plans will be provided to athletes not attending the races. End Date:March 30, 2018 (some weekend practices may occur in April in Gatineau Park if weather permits). Midget and Peewee (2005-2008): Training is focused on preparation for local (National Capital District – NCD) races such as the Pretzel Sprints and the Coupe Skinouk and one away race, the Ontario Youth Championships, held in North Bay. We expect racers to attend 4-6 races during the season and highly encourage all Midget and Peewee athletes to plan to attend the Ontario Youth Championships as their capstone event of the season. The Ontario Youth Championships are family travel and the races are fully coach supported. Example season racing schedule below (note local race dates have not been confirmed). Juvenile (2004 and older): For those juvenile aged and older the focus of this season will be attending one Ontario Cup race (Eastern Canadian Championship at Highlands Nordic) and the Canadian National Championship Races held at Nakkertok. Travel races will be fully coach supported. These races will be augmented with local races such as Boxing Day Burnoff and the Coupe Skinouk. Example race schedule below (note local race dates have not been confirmed). *All Kanata Nordic racers are provided free entry to the Kanata Nordic Pretzel Sprint races. Race Wax Support:Some wax support is provided at local (NCD) races, full waxing support will be provided at away races and Nationals. At races with full support Kanata Nordic will partner with Nakkertok for wax testing and more advanced wax application. At these times a wax levy will be requested; expect $20-$30 per athlete per event. *An intro to wax clinic, and a suggested supply list, will be provided to all families/athletes in the fall. Athletes are encouraged to participate in other sports, such as cross country running, football, swimming etc. We expect skiers to be prepared to attend at minimum 2/3 of all scheduled practices during the season. Cross country training is a go rain or shine, hot or cold, except in extreme cases where it is deemed unsafe by club standards (such as driving anywhere in an ice storm). Athletes need appropriate outdoor clothing for all conditions. At times during the winter deteriorating ski conditions due to thaws or freezing rain may lead to Kanata Nordic holding running practices. All official team communication will occur through TeamSnap. Athletes and parents will be added to the free TeamSnap platform upon program registration, and are expected to maintain their profile and monitor the app for schedule and other information. A rebate of 10% of the lowest registration fee will be provided to families with three or more athletes in the Kanata Nordic racing program at the end of the season. Refund / Cancellation Policy: Memberships fees are non-refundable. If you wish to withdraw from a program, we will refund the program fee less 20% retained to cover the club’s associated administration costs. To obtain a refund please contact registration@kanatanordic.ca by January 15, 2019. Please note that Kanata Nordic reserves the right to cancel any programs with insufficient registration or without volunteer leaders. In this case every effort will be made to find an equivalent program or a refund will be offered.